There is a saying “not everthing is black and white.” When it comes to my football squad, that is ALL there is. Juventus till the end. It is an organization with a rich history and over 114 years of tradition. Looking back, there have been a number of times that the Bianconeri, organization and fans, have faced misfortune, adversity and hardship. Juventus was founded in Torino, November of 1897. Only nine years later an internal conflict almost ended “the grand love story” as the president and several key players left the club, to form A.C. Torino (now Torino F.C.). In the end we survived and thrived, yet things didn’t turn out so great for them. 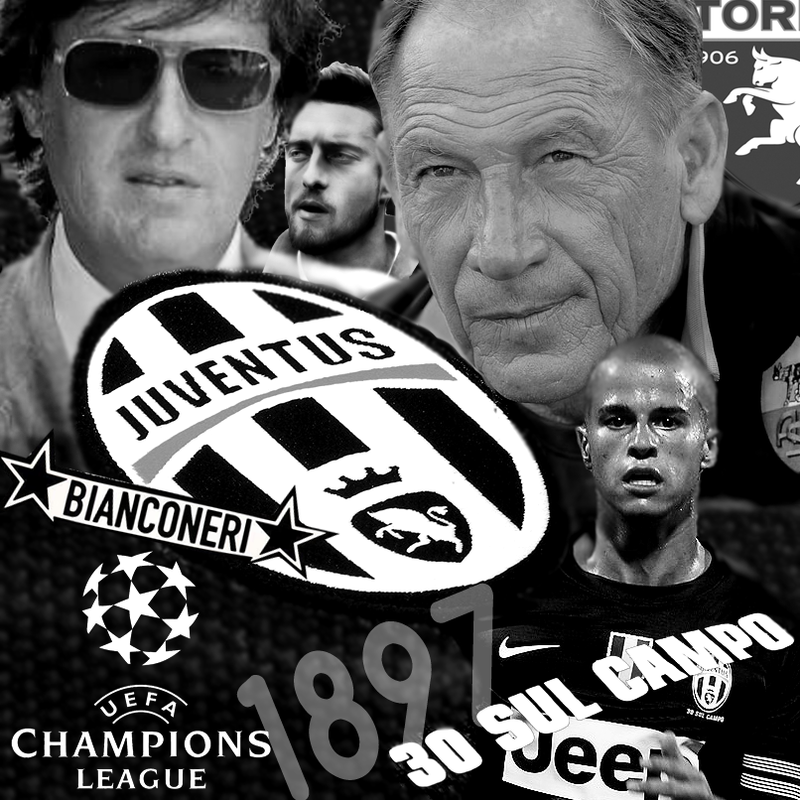 In May of 1985 Juve played Liverpool in the finals for the European Cup (Champions League). Forever known as the Heysel disaster, in which 600 people were injured and 33 Juventus fans were killed. The players were not made aware of the tragedy until after the game. A game that although Juve won, will be remembered as one of the darkest days in footballing history. In the 90′s there was, then Roma coach, Zdenek Zemans public accusations of illegal doping. Juventus were cleared of all charges and Juventus doctor, Riccardo Agricola, who was initially found guilty, was later cleared of all accusations. With the new millenium came new accusations. The Calciopoli scandal, headed by FIGC prosecutor Stefano Palazzi, heard accusations of match fixing against, then general manager, Luciano Moggi. Not a single player was accused of any wrong doing yet for the first time in its history Juventus was relegated to Serie B, docked 30 points (reduced to 9 after appeal) and stripped of not one but two titles! The team lost coach Fabio Capello to Real Madrid and many high profile players such as Vieira, Zambrotta, Cannavaro, Thuram and Ibrahimovic left as well. This also led to the integration of youth squad members Sebastian Giovinco and Claudio Marchisio. Fast forward to 2012. Under Antonio Conte, Juventus completed an undefeated 38 game season. Champions of Italy. 30 on the field. Yet with this great accomplishment came the end of an era as Alessandro Del Piero and Juventus part ways. The new season is about to begin and I can’t help but notice the return of our antagonists. Torino is back in Serie A, Zeman is back with Roma, Palazzi is back with the Calcioscommesse trials. Juventus is back in Champions League. Odd isn’t it? What doesn’t kill you only makes you stronger…FORZA JUVE per sempre!